"With admirable clarity, As the Oceans Rise shows us exactly what we can do, now, to help reverse the disastrous course that has us presently hurtling toward the edge of a cliff. If you want to be part of the turning of the tide, read this book." Gloomy predictions about global warming have struck a nerve. People, businesses, and governments across the country have begun to take actions that point the way toward a low-carbon future. As the Oceans Rise, the new book by Chuck Tremper describes dozens of these examples to show what can be done and how we can all benefit. Based on nearly 100 interviews with people who are making a difference, the book provides inspiration and guidance for taking action to reduce global warming and prepare for changes that can no longer be prevented. The task of responding to climate change can seem too enormous to contemplate. Just sorting through the misinformation can be a chore. As the Oceans Rise makes the process manageable by laying out the facts clearly and providing an effective "Path to Action" for overcoming the psychological stumbling blocks that keep us from doing as much as we should. 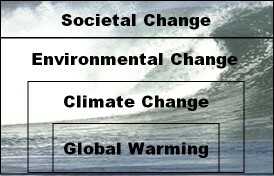 For everyone trying to decide what to do about climate change, As the Oceans Rise is a terrific source of answers.